7.76mm x 8.77mm / 0.306in. x 0.345in. Sitting Bear Accent Charm by Rembrandt Charms. The height is 3/8 of an inch. 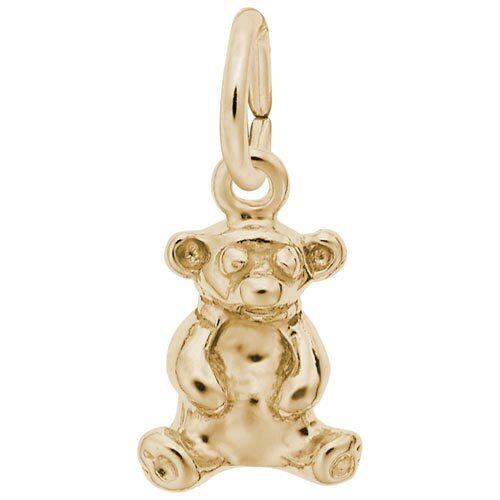 If you had a teddy bear you loved as a child, add the Sitting Bear Accent Charm to your charm collection. Add this bear Jewelry piece to your favorite Symbols and Expressions Bangle Bracelet. All Rembrandt Charms are available in either silver or gold.